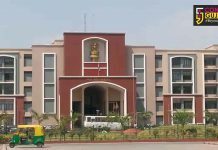 A role of anaesthetist is very important in medical fraternity and with changing times there is a need to get updated as the techniques are also getting advanced. 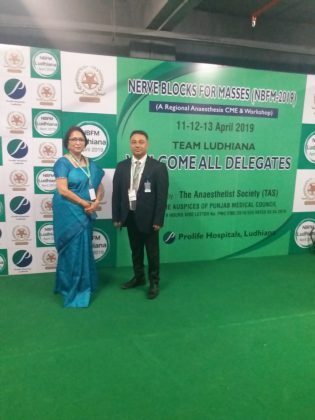 With a similar aim a CME and a workshop titled Nerve Block for the Masses was organized by The Anaesthetist Society and hosted by Prolife hospital, Ludhiana on the11th , 12th and 13th April 2019 . The workshop was undertaken as an initiative to teach both basic and advanced techniques of regional anaesthesia using Peripheral nerve stimulator and loss of resistance (LOR) nerve blocks catering to the entire spectrum of anaesthetists,from those working in limited resource centres to those working in most advanced setting. 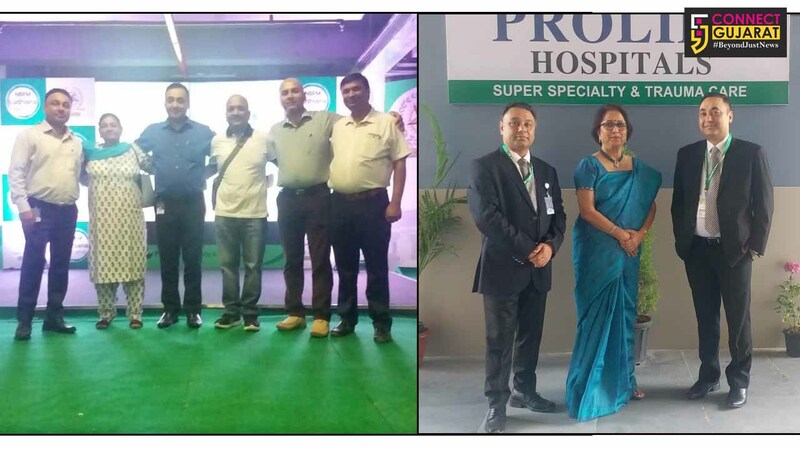 The workshop was attended by around 300 delegates to learn these techniques from highly experienced faculty who had come from different parts of India and abroad. The programme was held in the auditorium of Prolife hospital where a pre conference informal interaction was held by the faculty with delegates where their questions were answered and various tips and tricks were shared with post graduate students. 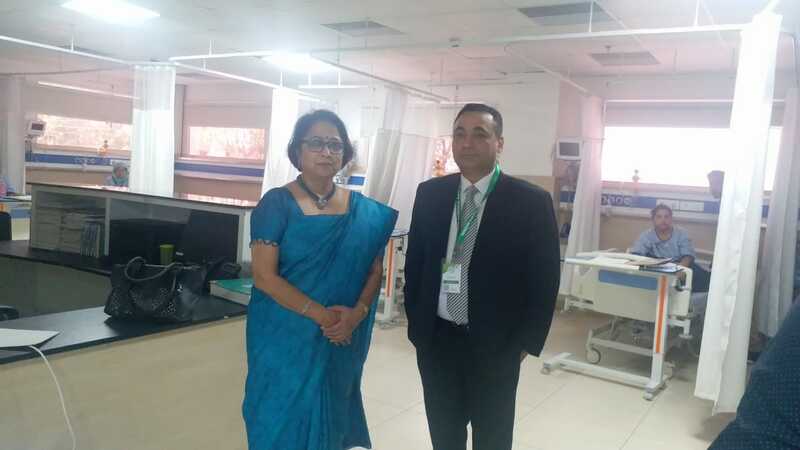 The conference was Inaugurated in the presence of Punjab Medical Council member Dr Karamvir Goyal who also awarded 9 CME hours. Didactic lectures were given by the faculty on day one followed by demonstration of nerve blocks pertaining to different regions of the body on surgical patients the next day . 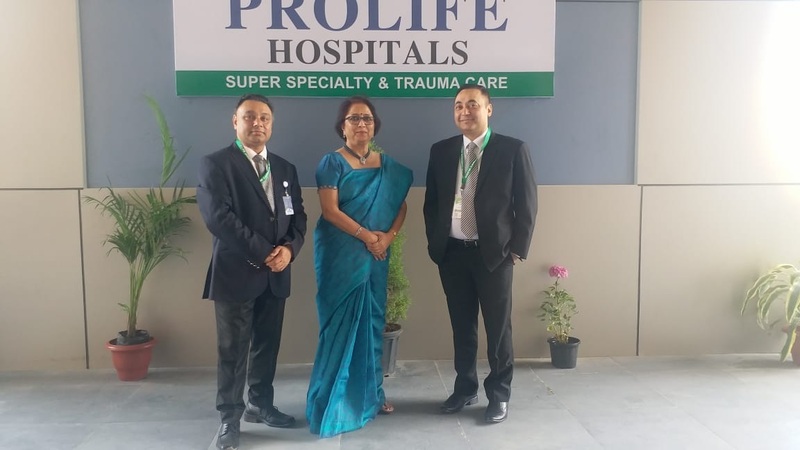 The transmission was carried out live from the OT complex of Prolife Hospital where the chief surgeon and managing director, Dr HS Jolly and his team operated upon the patients . Dr Shiv Kumar Singh consultant anaesthetist from Liverpool who is also the chief patron of the society said that events like these lead to sharing of ideas and knowledge causing collective intelligence to prosper. He also emphasized on the concept of ‘Think Globally and act locally’ where available knowledge should be put to an optimum use according to the available facilities and circumstances. 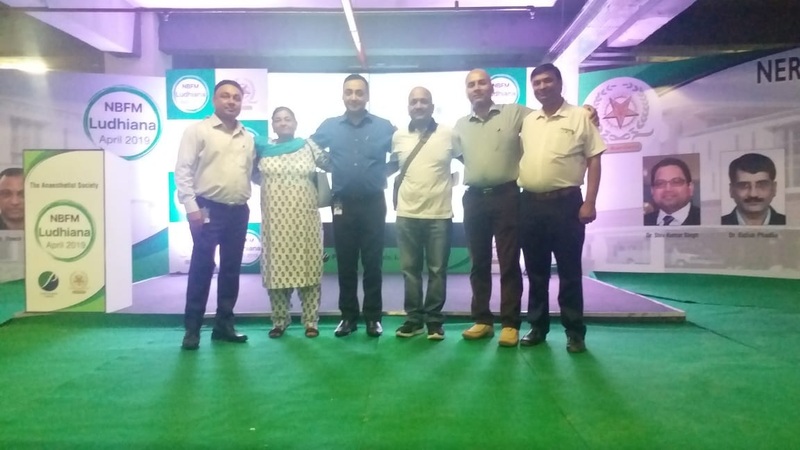 The other noted faculty present in the workshop were Dr Hetal kumar Wadera, Dr Tuhin, Dr Anil Sharma, Dr Kala Eswaran, Dr Satish Phadke, Dr Gurunath Murthy,Dr Rajesh Shah and Dr Santosh Sharma. 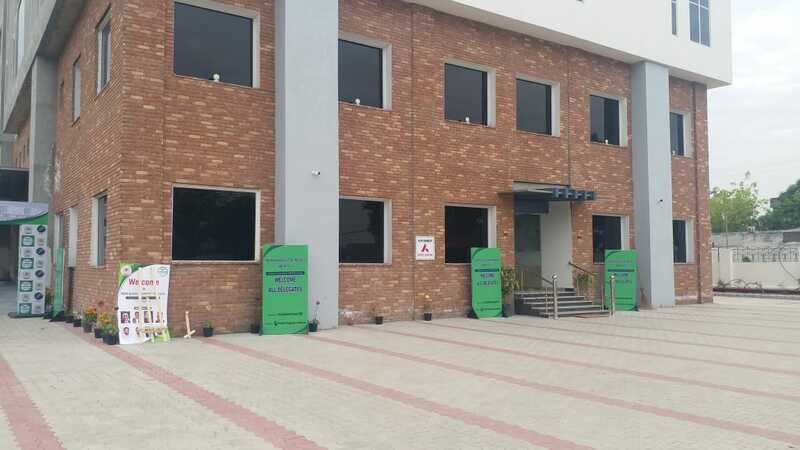 Dr Harbhajan Saini the chief organizing secretary said that every patient has a right to pain free surgery and learning how to give nerve blocks not only allows surgery to be performed painlessly but also provides excellent pain relief after the operation. The entire organizing team comprising of Dr Dinesh Sood, Dr Surjit Garg, Dr Gaurav Kuthiala, Dr Parminder Singh were of the collective view that postoperative pain is undertreated all over the world especially in developing countries and performing regional anaesthesia techniques and nerve blocks by the anaesthesiologists wherever possible will not only go a long way in making patients comfortable and satisfied after surgery but also improve surgical outcomes.